Editor’s Note: Thank you for your interest, this offer has expired and is no longer available. Remember a year ago when you could get 100k bonus miles for signing up for the Chase British Airways card? Well, that deal is back, but only for a limited time. As I understand it, you have until June 7th to take advantage of this bonus. Start by applying for the card. Once approved, you’ll receive 50k bonus miles (Avios points) after making your first transaction. You’ll get another 25k points when you make $10k in purchases (within the first 12 months) and an additional 25k points if/when you make another $10k in purchases ($20k total) within that same 12 month time period. 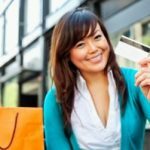 Thus, you can get an easy 50k points and, if you’re a big spender (or planning any major transactions in the near future), up to 50k more points. You’ll also earn 1.25 points per dollar spent going forward. Adding it all up, if you hit the spending tiers, you’d actually get 125k points (50k + 25k + 25k bonus + 25k earned on $20k in spending). Not bad if the card fits your spending patterns, and the 50k upfront bonus is itself pretty nice. Note that British Airways recently transitioned to distance-based awards so it’s less straightforward to estimate flight costs. That being said, when I played around with their calculator, I found some reasonable deals. For example, you can fly from New York to London for 15k points each way. Another important point is that you can redeem Avios points for flights on American Airlines, with short-haul domestic flights starting at 4500 points each way. Some other nice perks: there are no foreign transaction fees with this card when used overseas and if you spend $30k in a year, you’ll receive a free companion certificate that’s good for two years. I signed up for this card, and yes I spent more than 30k in one year. But my brother and I went round trip, first class to Europe and only had to pay tax! That’s $2,000 instead of the $42,000 it costs for two first class tickets. I think this deal is AMAZING! Chase also have a ‘chip’ version of this card available, which is useful when traveling in Europe. Although I understand it is ‘chip and signature’, not the usual European ‘chip and pin’. It does sound like they are doing some specific target marketing. Can’t imagine how long it would take to read between the lines. im with steve, sounds like a huge amount to spend for a longer period of time. they are really targetting specific folks in their offers these days (those who can spend 2k per month or more). This is only about half as good as the previous deal. Spending $20k on a card displaces a lot of spending on a real rewards card (the only real reward is cash IMHO).